Jockey Lizzie Kelly will be lining up in the 2019 Randox Health Grand National on April 6th, and the 25-year old cannot wait to take on the testing Aintree fences once again. It's been a successful 2019 for the Devon-based rider, who recently bagged a winner at this year's Cheltenham Festival, and she'll be aiming to guide veteran chaser Tea for Two to victory in the world-famous steeplechase. It isn't the first time she's visited the Merseyside track, and after making her course debut in the Fox Hunter's Chase, she managed to come out on top in 2017's Grade 1 Betway Bowl Chase. Lizzie Kelly isn't a new name to National Hunt followers, as she's been firing in winners for almost a decade. During the 2017-18 season, she clocked up over 100 rides, winning 15 times in total. 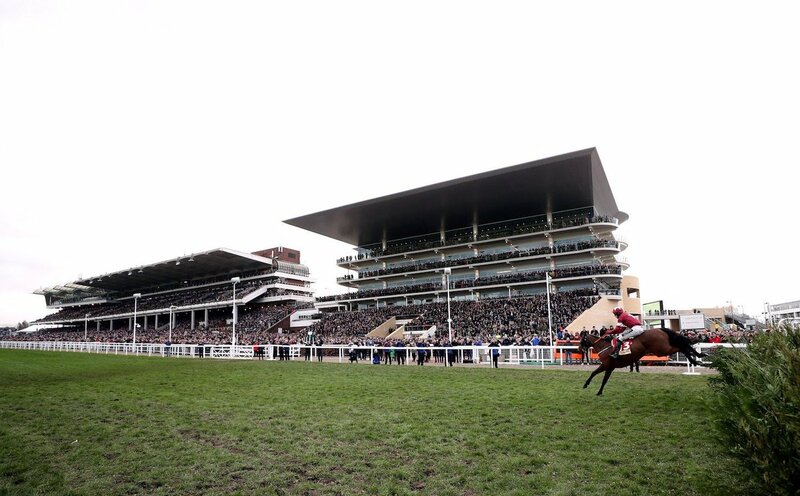 She made the headlines at the 2019 Cheltenham Festival when guiding Siruh de Lac to victory in the Brown Advisory Plate on March 14th. It was a gutsy front-running performance from the six-year-old, who made it four wins in a row for Lizzie's stepfather Nick Williams. He was sent off as the joint-favourite, and despite pressure from Spiritofthegames and frequent rival, Janika, the French-bred chaser managed to find more in the closing stages. Kelly admits that her classmates would snigger when she told them she was hoping to become a jockey, but she has certainly made a name for herself over the last few years, and a win in the Randox Health Grand National would undoubtedly be her greatest achievement so far. She is hoping that her heroics at Prestbury Park will inspire more girls to take up the sport, and the recent successes of both Bryony Frost and Rachael Blackmore now give aspiring female jockeys a plethora of role models to choose from.  Will Tiger Roll become the shortest SP favourite in Grand National history? 樂 Is there still value at the current 4/1? Tea for Two is currently priced at around 80/1 in the ante-post betting markets but Lizzie Kelly knows how to get the best out of the vastly experienced National Hunt star, and they have previously been successful in both the Lanzarote Chase and the Kauto Star Novices' Chase. It is a formidable partnership and although the ten-year-old was pulled up in this year's Glenfarclas Chase, he will be ready to take on the Aintree fences once again. Punters shouldn't be discouraged by the significant odds available in the ante-post market, as the race has seen its fair share of big-priced outsiders finishing in the each-way places over the last decade. 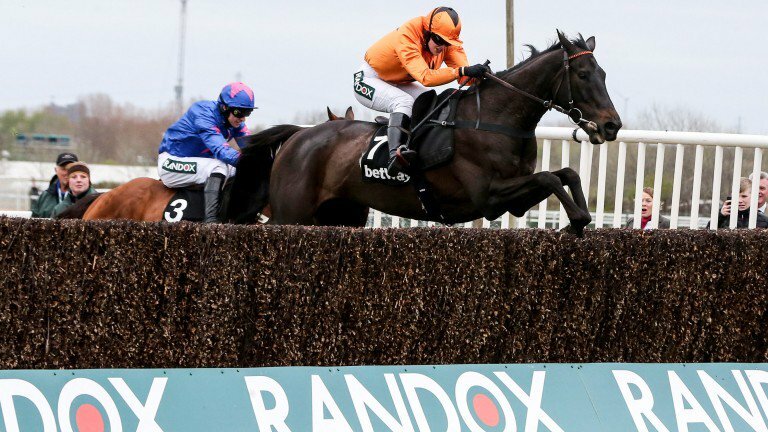 With a 40-strong field heading to Merseyside once again, it can be a tricky race to predict but sites such as betting.betfair have a team of analysts who have crunched the numbers and come up with a number of insider tips Grand National 2019 predictions, and these will offer some unique insight ahead of April's world-famous steeplechase. It isn't the first time that Tea for Two has underperformed at the Cheltenham Festival, and he managed to bounce back just three weeks later at the 2017 Aintree festival. Lizzie Kelly knows how to get the best out of this experienced and wily competitor, and she'll be confident that the pair can be involved at the business end of the four-miler. The 25-year old could also make history by becoming the first female jockey to win the Randox Health Grand National, but she admits that it is just a "pipe dream" at this moment in time. The race looks set to be another hugely competitive, stamina-sapping contest, and there are plenty of horses in with a chance of glory. Lizzie Kelly is likely to be in the thick of the action, and will be aiming to guide Tea for Two to yet another triumph at the Merseyside venue on April 6th.